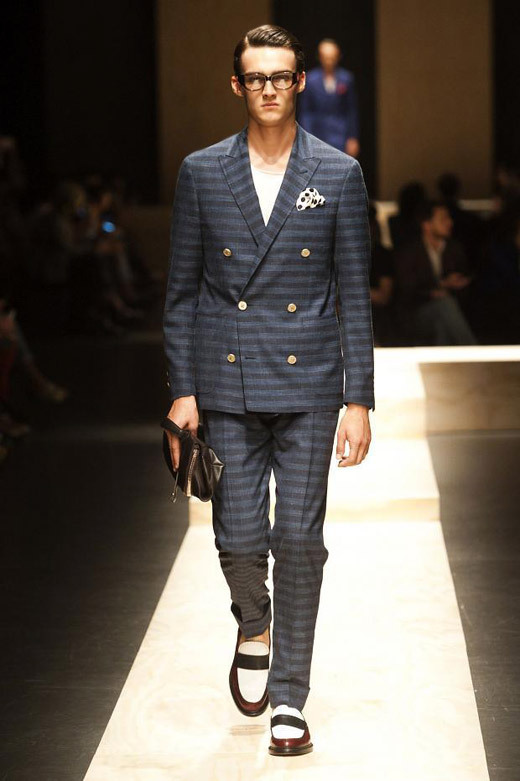 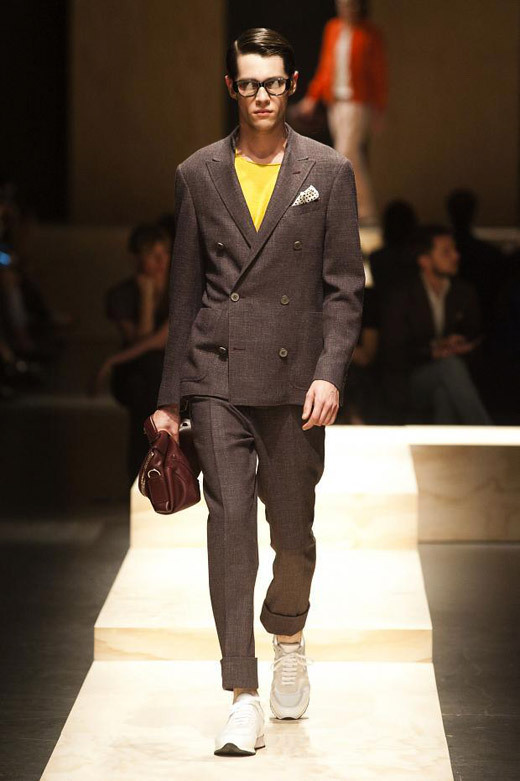 The collection was presented in Italy, during the Milan Fashion Week, where the checked trousers, suits and coats trend was one of the key elements. 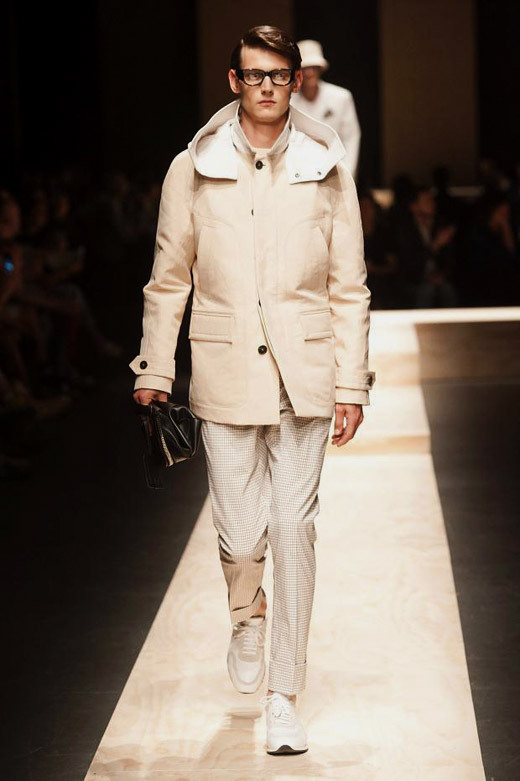 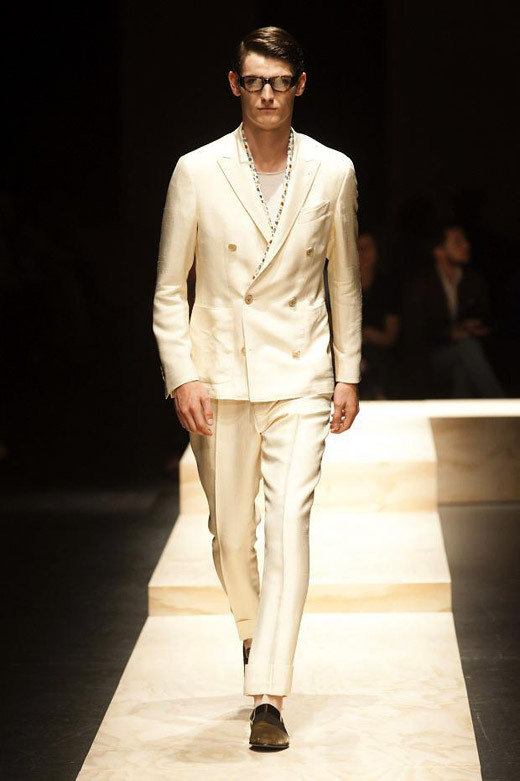 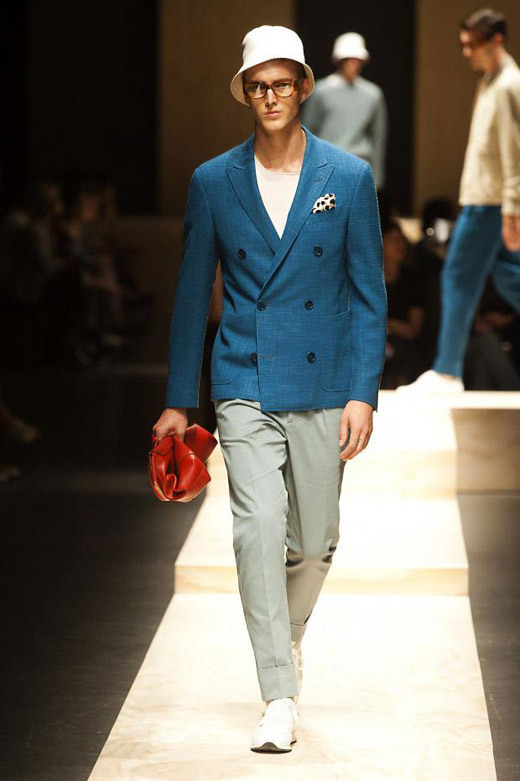 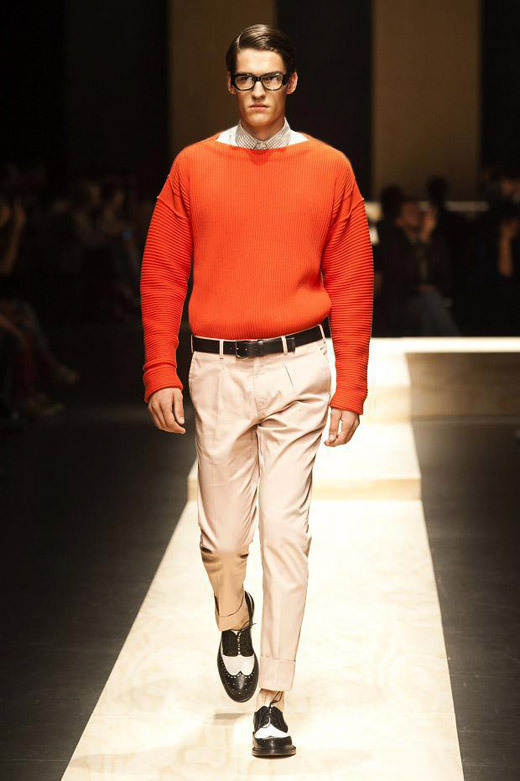 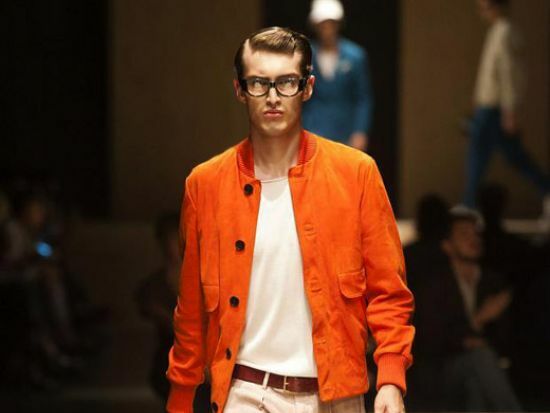 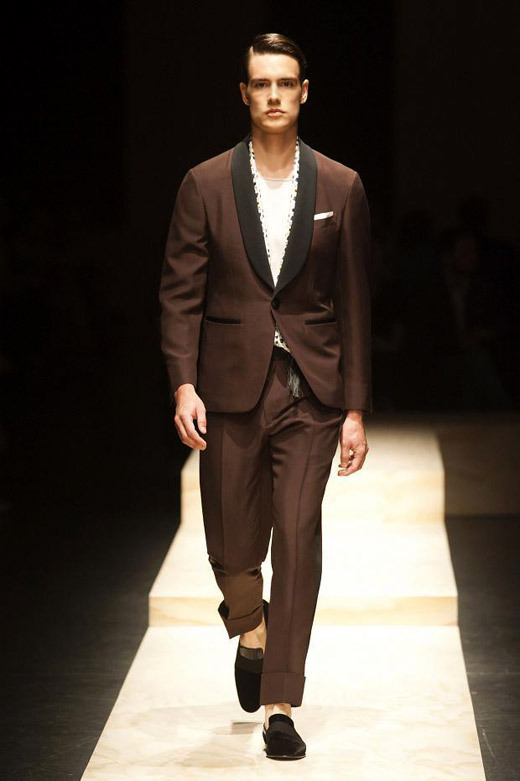 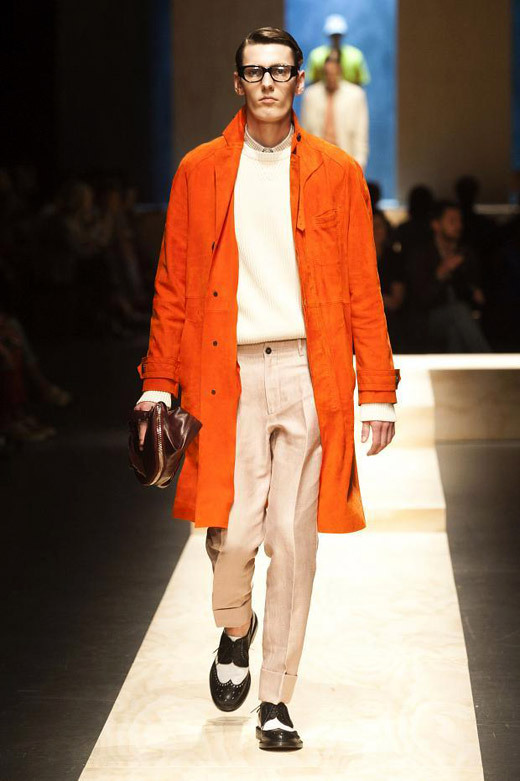 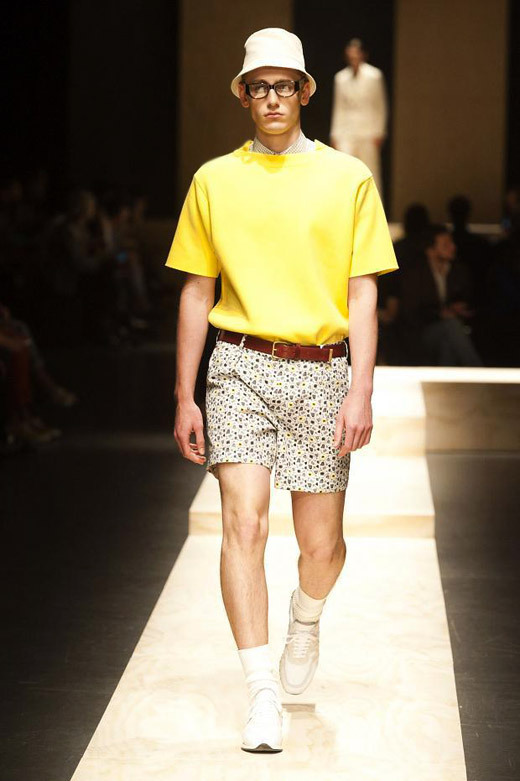 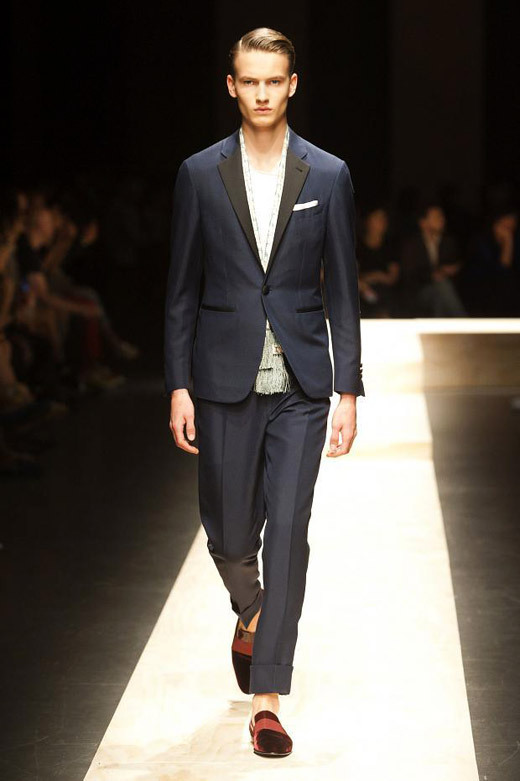 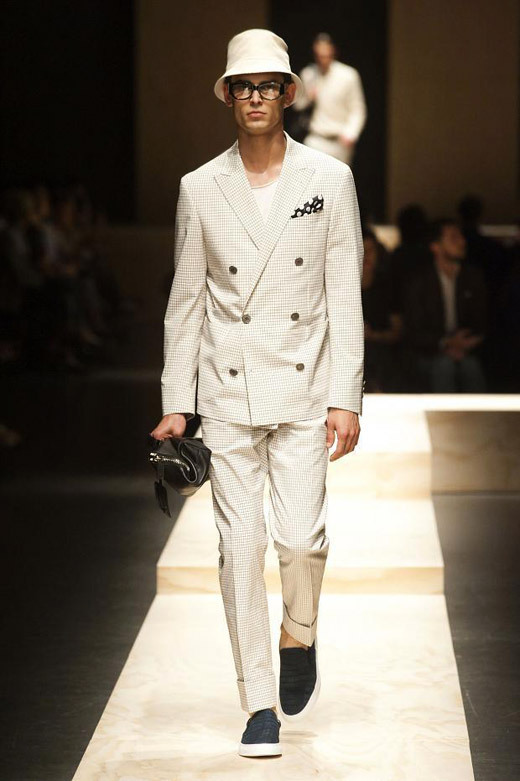 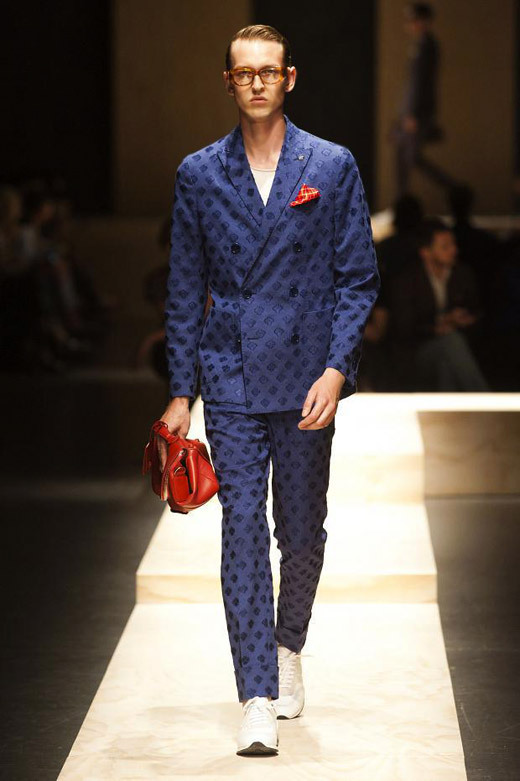 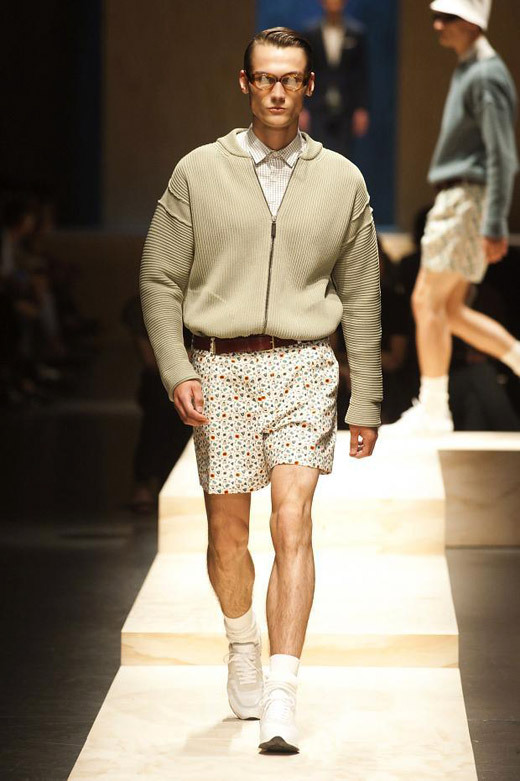 Another notable elements, which are part of Canali Spring-Summer 15 collection were the top colors of the season - lemon, orange and fire engine red. 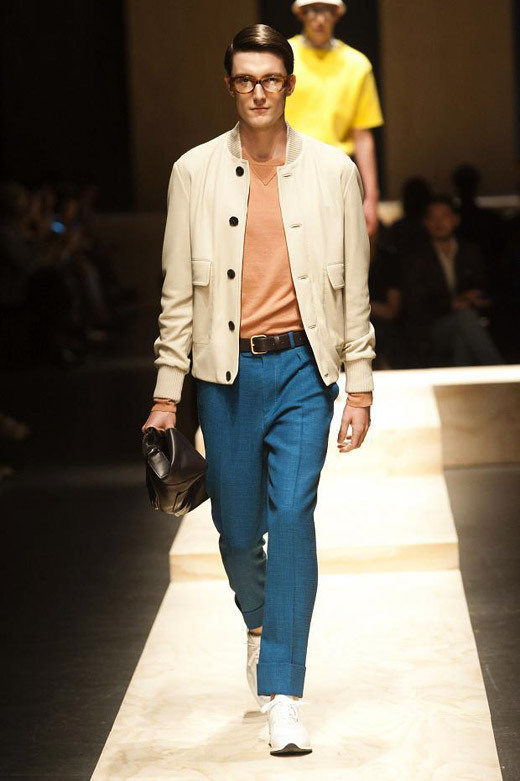 Color palette includes also: white, beige, midnight blue, mimosa yellow, coral, brick, aubergine, olive green, old pink. 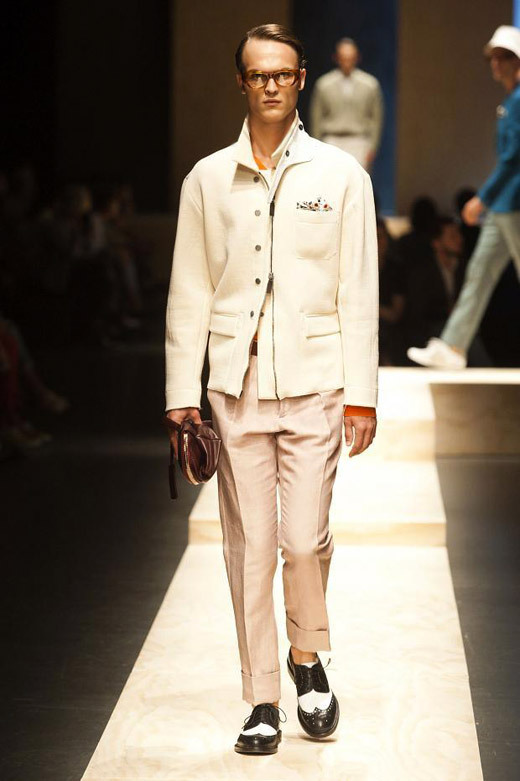 This 'casualwear for the special occasion' collection includes also: sporty luxe silhouettes, ribbed cotton knits, lean suits with grid, stripe and geometric jacquard patterns, soft and simple line of parkas, car coats and bombers, t-shirts in super-fine cashmere, floral print shorts, white leather sneakers, three-tone loafers, leather belts, shoulder bags and grips. 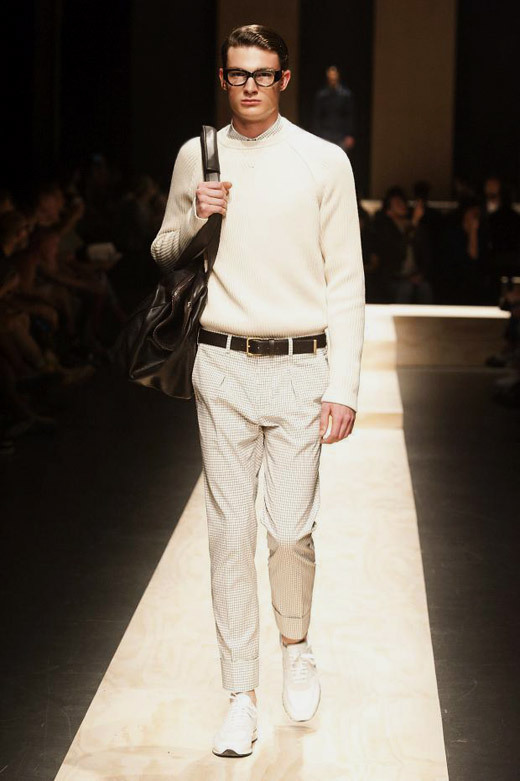 Used materials are mainly linen, cotton, cashmere, silk, leather and jersey.